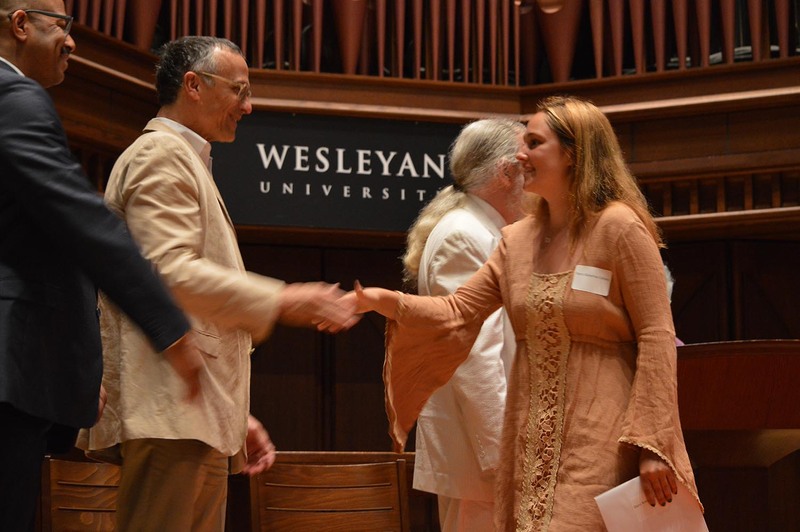 Seventy-eight members of the Class of 2018 were inducted into Wesleyan’s Gamma Chapter of Phi Beta Kappa Society, the oldest national scholastic honor society. 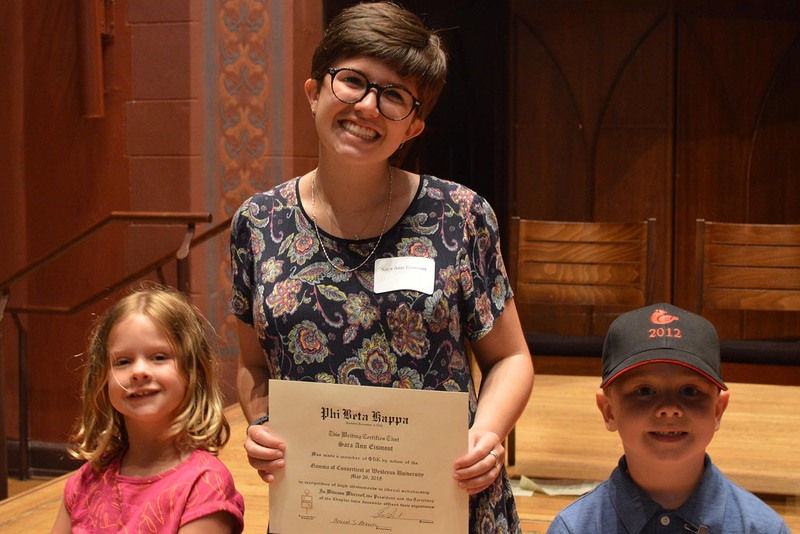 On May 26, 78 members of the Class of 2018 were inducted into Wesleyan’s Gamma Chapter of Phi Beta Kappa Society, the oldest national scholastic honor society. The Wesleyan Gamma Chapter was organized in 1845 and is the ninth-oldest chapter in the country. To be elected, a student must first have been nominated by the department of his or her major. 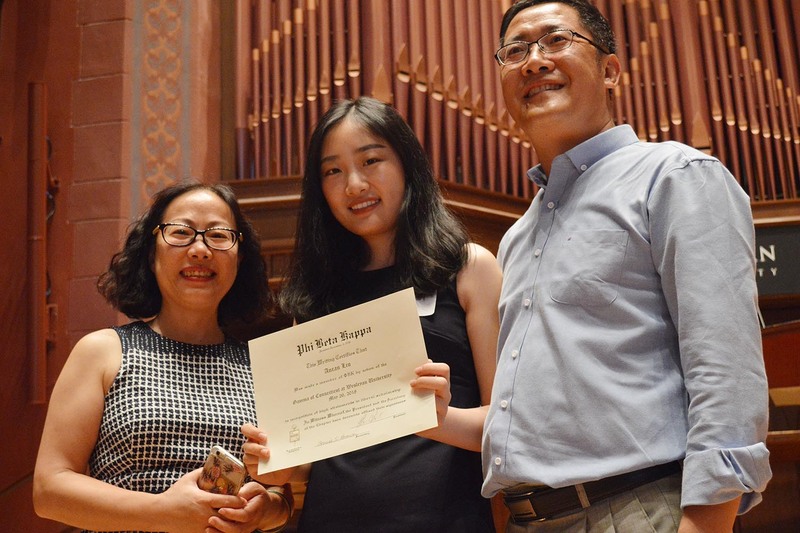 He or she also must have demonstrated curricular breadth by having met the General Education Expectations, and must have achieved a GPA of 93 and above. Ryan Adler-Levine, Rachel Alpert, Dakota An, Vera Benkoil, Nicole Boyd, Kerry Brew, Chloe Briskin, Hailey Broughton-Jones, Maxwell Burke Cembalest, Steven Le Chen, Taylor Chin, So Young Chung, Danielle Cohen, Darci Collins, Theresa Counts, Isabelle Csete, Emmet Daly, Joshua Davidoff, Rocco Davino, Nicole DelGaudio, Max Distler, Luisa Donovan, Rhea Drozdenko, Dasha Dubinsky, Rebecca Eder, Sara Eismont, and Julia Gordon. Also Chris Gortmaker*, Jack Guenther, Kenneth Sabin Hecht, Brandon Ho, Mariel Hohmann, Josephine Jenks, Melissa Joskow, Joanna Korpanty, Gretchen LaMotte, Julia Lejeune, Ariana Lewis, Aryeh Lieber, Anran Liu, Caroline Qingyuan Liu, Maya Lopez-Ichikawa, Christine Mathew, Maile McCann, Louis Medina, Joel Michaels, Eva Moskowitz, Emily Murphy, Andrew Olivieri, Paul Partridge, and Joanna Paul. Also Rubye Peyser, Charlotte Pierce, Carli Poisson, Sophia Ptacek, Brenda Quintana, Andrew Rachlin, Jade Ransohoff, Sarah Regan, James Reston, Daniel Robertson, Lilly Sandberg, Molly Schiff, Lily Segal, Avigayl Sharp*, Kathleen Sheehan, Jonathan Tang, Xilin Tao, Paula Tartell, John Vansant, Duong Vu, Jingxuan Wang, Gabriel Weinreb, Hannah Wilton, Louisa Winchell, Jiayi Xiong, Sarah Xu, and Yi Zhou. 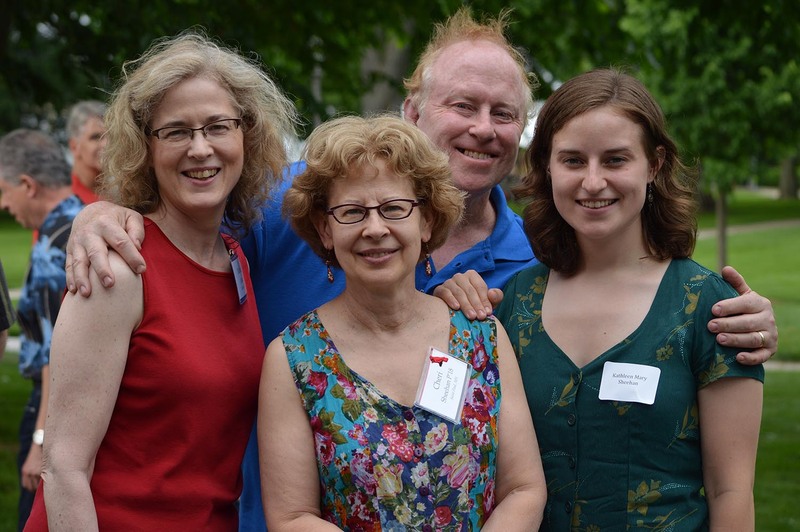 *Two students from the Class of 2017, Avigayl Sharp (English) and Chris Gortmaker (English), were also elected to join the inductees of their class as members of Phi Beta Kappa.